The physics curriculum at Sam Houston prepared me for engineering at Texas A&M, covering the basics in almost all the different domains of engineering. I pursued Petroleum Engineering at Texas A&M with my physics at Sam. I graduated from Texas A&M in the spring of 1987 and then from Sam Houston shortly after the paperwork was done. For the last 22 years I worked for Landmark, a Halliburton software company, in the customer support department as an analyst, trainer, manager, and Tier II Support within their Drilling Engineering Software domain. Sam Houston State University Physics Department was a great foundation to start my successful career. I worked on an exoplanet detection project under Dr. Miller during my last semester at Sam. Being able to get away from the city to observe the stars through the school's telescope in the middle of the night made for some of my fondest college memories. I currently make a living as a test prep and subject tutor, teaching high school and college level math and physics. I am going back to school in the spring to get my teaching certificate to teach high school math. The small size of the program and classes makes for a tight-knit community. A close group of friends I made, most of which I am still in contact with today, was born from delirious late night study groups for Modern Physics. At SHSU, it appeared that I could do more and would not get lost in the crowd. I had an office in a lab, taught labs, and did research with good friends who were graduate students and even faculty. I went to TAMU and earned a PhD and became an associate professor at Northwestern University. There I met Wally Hopp, another physics refugee. After lamenting that there were few books that described how production and inventory systems behave, we wrote a book called "Factory Physics". In 2001, I left academia and started a consulting company of the same name. A physics background gave me a different perspective when facing industrial problems which served me well when trying to model and solve complex manufacturing and supply chain problems. The physics department was unique because of the small classes. The best part of the physics department was that all the professors showed an interest in my education. My physics degree was the foundation of my education, and after graduating from SHSU, I was accepted into the LSU petroleum engineering department. I graduated from LSU in the spring of 2016 and am currently a field engineer for Profrac. I wouldn't have excelled in engineering without the SHSU physics department. Many long hours were spent studying physics but like the SHSU motto says "The Measure of a Life is it's Service". Some of my best memories at SHSU were in the physics lounge playing ping pong between homework and studying. The Physics Department, and Sam Houston State University, never gave up on me. The physics department challenged me intellectually. Western Geophysical hired me as a seismic data processor. Seitel, Inc. offered me a job in "Operations", to manage seismic data acquisition. I climbed the corporate ladder and owe a lot to Sam and to the Physics Department. Physics taught logical thinking and math critical during my time as a seismic data processor, and the ability to work thru complex problems serves me every day in my role as a corporate executive. The math and science skills secured through physics are applicable to any number of roles and I can tell you that the modern workforce places enormous value on a well-educated, well rounded scientist. The biggest advantages for studying physics at Sam, are small class sizes, and a very personal interaction with professors in classes as well as research. Since the department is quite small, everybody knows everybody, and help in classes is always available if needed. The student to professor ratio in research is amazing. I am currently in graduate school at Rice University, pursuing a degree in Applied Physics. One thing that I find unique about Physics at Sam is the fact that senior undergraduate students are allowed to take on quite a lot of responsibility. They can teach physics labs, do independent research, and attend conferences if they choose to make the most of their undergraduate experience. The sense of comradery and closeness of the students, the accessibility of the professors, and the cozy size of the classes convinced me to come to SHSU. I valued research with students and Dr. Walker where I received the opportunity to attend a Pittsburgh conference to see physics in the "real world" and the avenues that you could explore with a physics degree. I currently use my degree to pursue a teaching career. The thing that is the most remarkable about being involved with physics is that you will meet people who will challenge and engage you. You will form lasting friendships because there is nothing like the bond that you form with other people who undergo the same difficult task that you do. I had never been so sure of anything when given the opportunity to work with some of the greatest professors I would ever meet. They make sure you succeed in anything you do and made me feel like I mattered, teaching me to strive for greater things. Sam and my physics degree opened up a lot of doors. The professors root for you and teach you things you probably wouldn't have thought were important about yourself and the subject as a whole. You'll walk that stage and you'll thank every obstacle you've ever faced and every tear shed just to get you there. I wouldn't change a thing even if I could. So do it, you'll thank me later. I am often asked, why SHSU? And I tell them: SHSU's Physics Department cares about the success of its students. I received the one-on-one focused attention I needed to succeed and learn the basics, with its smaller class sizes and high quality caring professors. SHSU gave me the opportunity to teach the introductory non-science majors labs. SHSU's physics professors saw more in me, and encouraged me to consider becoming a physics researcher. I enjoyed and excelled at SHSU, eventually earning two of SHSU's top Physics awards: the Rigby Physics Award for Outstanding Introductory Physics Sequence and Top Senior Physics Student of the Year. As a Physicist / Nuclear and Radiation Engineer I have enjoyed countless world-class scientific collaborations and enriching personal scientific colleague mentorships and friendships. Physics fascinated me in high school. Physics is a curiosity quencher. 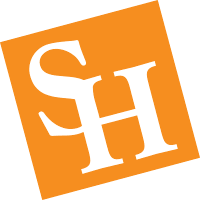 SHSU made a unique environment to explore, develop and grow. My professors pushed me to my potential. Physics had a way of enlightening us as my professors seemed genuinely interested in nourishing. I had the greatest time of my life at SHSU, a special experience. The sleepless nights paid off. The degree of respect you receive from colleagues, partners, clients and people in general, not only gives you tremendous confidence but also helps you see the world in a more objective manner. It is well worth it. SHSU provides an excellent choice for students interested in physics and who seek professional development in a natural science career. The university has a strong community, and class sizes promoted friendships and ties which beneficial to forming study groups as well as hangouts including board games, Ultimate Frisbee, and many games of ping-pong. Further, professors were always available for independent or small-group discussions which lead to many research opportunities, introduction to sophisticated laboratory equipment, and advancement for my presentation and speaking skills. We had opportunity to be instructors responsible for leading laboratory classes. In all, my experience at SHSU was crucial in making me a competitive applicant to graduate school. SHSU contributed to my success in both the demanding courses and elaborate laboratory experiments in graduate school. The low-cost education, scholarships, and the very attractive faculty to student ratio brought me to SHSU. I studied Physics because I did not need to memorize and only needed to understand and interpret concepts. However, beginning in my senior year I worried what I could do with my degree. Then, I worked with Dr. Walker who helped me explore my life's path, "High Energy Physics". Faculty, friends, and staff nourished my mind and spirit greatly enable my graduate work and research. I am working at CMS experiment at Large Hadron Collider and am honored to have opportunities for active participation in onsite operation of experiment (2016), detector building, and search for the new physics to demystify the dark sector of universe. My cousin went to Sam for Criminal Justice, and I went for the Dual Physics/ME program. I decided Physics was what I wanted and am glad I did. I don't know of a physics program where I could have received the student to teacher ratio we had at Sam. Undergraduate research prepared me for work after school in ways I could have not gotten at other universities. I worked initially in the oilfield doing laboratory work in deep water mudlogging. Then I transitioned to my dream job of teaching high school physics and coaching football. I loved playing ping pong in the Farrington physics lounge, a place to work on homework together and have good conversation. I made friends there that I will have for life. 1970-1972 were exciting times at SHSU Physics Dept. I never forget what we learned and the fun we had then, the faculty associations, classes, Christmas, and other parties. In a Christmas party at Dr. Manka's house we exchanged the gifts. When I taught physics in high school, I received a letter from Dr. Manka inviting me to attend SHSU graduate school and offering a National Science Foundation program. I switched my major to physics and during my first physics course, I knew I found the right spot. I enjoyed classes, which were taught not only by top notch teachers, but great people who cared about my success. However, undergraduate research solidified physics as my passion. I'm now following my dream in graduate school, pursuing my PhD in physics. The opportunity to TA and do actual research with great professors as an undergraduate prepared me to thrive in the field of physics. You just don't get those opportunities, top notch instructors, and high quality people in most places. Studying physics at Sam Houston is undoubtedly one of the best decisions I have made in my life. There's no other place that I would have rather attended. I grew up in Huntsville and Sam Houston was an obvious choice for me and physics a clear choice for me. After a tour in the Navy, I joined a little computer company in Dallas called EDS and retired 35 years later. While I have never earned my living as a physicist, physics has always been a crucial part of my relationship to the world. It was central to navigating a ship at sea, to predicting the trajectories of weapons, managing the complex ocean-going machine I lived in, anticipating and navigating weather, and dealing with the electronic technologies of an increasingly more technical business that became my life's work. Physics has been the center of how I understand the world. It also allowed me to teach my children to understand and deal with the world around them. In 1950, I applied to graduate school at Sam. What was so special was the close bond between the graduate students and the staff. I had the opportunity to pursue independent research, with guidance from many of the staff, and to teach some undergraduate classes. I joined Reynolds Metals Co. (aluminum) to establish a high temperature research laboratory at their plant in Listerhill, Alabama. After four years, I was promoted Director of Research Planning at the company headquarters in Richmond, Va. on W. G. Reynolds staff. We had five research divisions with approximately 250 scientists and engineers. After 20 years, I took early retirement to pursue my interest in teaching. I taught physics for 3 years at Randolph-Macon College and then at Virginia Commonwealth University for 13 yrs. SHSU physics is a great experience with small classes where every professor knows you by name and looks out for you. You have opportunities to do research in many forms and have the opportunity to teach physics labs, experience that greatly benefits as you move to grad school or other fields. It gives you the ability to explain the science to people who don't have the background knowledge that you have acquired. SPS provides a great opportunity to know your peers in physics and to help educate the public on what the SHSU physics department is all about. My wife and I helped start Colleges Against Cancer at SHSU and with it the Relay for Life there, and we love watching how it has grown and changed. I went to Sam for physics as it had a much higher degree of professor/student interaction. Having a much better connection to the professors allowed me to have a number of opportunities that I would not have at other universities. At Sam, the small class size allowed for much better discussions in class. How many other places would you be able to spend an hour a week sitting with a Professor one on one and talking about black holes and how they work? I am currently using my physics degree to teach AP physics in high school and also working towards my master in physics. I took Math Methods in physics which made it easy to switch from math to physics. The smaller physics department made for a nourishing, enriching experience and translated to opportunities that were more accessible, professors able to see a student's potential, the chance to contribute to some really cool research, travel to prestigious conferences, and to make lifelong friends. When I transferred from A&M to Sam, I reveled in having one-on-one interactions with the professors and not being just a number. Personally, it was so important to my growth as a budding physicist and a person. I was pleasantly surprised with the many available resources which made education at Sam unique. These resources included extraordinary research, job and travel opportunities, as well as a top-notch education from dedicated professors. The low student-to-faculty ratio helped to build a close-knit community and you felt that warmness on a stroll through the Farrington halls. It became a tradition that a few of us met after hours in Room 303. What started out simply as a place to hang out or discuss studying strategies became a place where enriching friendships formed. My friends and I studied there so frequently that we began ordering food instead of going home for dinner. We all liked pizza and ordered a specially designed pizza which we named "the Farrington". I enrolled as a mathematics major. I took a physics course with Dr. Brian Oetiker who persuaded me to major in physics. It was a great experience. I am a GIS & Reservoir Analyst in the oil and gas industry. I use my physics education and understanding of fluid dynamics and my problem solving and troubleshooting skills every day. Being part of the SPS organization was great. It was awesome having friends to help each other throughout the school year. Bottom line for me, if you have a thirst for knowledge and are interested in figuring out how the world around you works, then the physics program at Sam is for you. The faculty always have your back, and are there for you. I came to Sam Houston in 1955 to study pre-engineering and after 2 years liked it there so well that I decided to stay and earn a physics degree and joined NASA Marshall Space Flight Center. During my years at Marshall, I had several interesting assignments including measuring sound pressure levels from the Saturn firings and running a Solar Magnetograph to measure the solar magnetic fields. In my final 10 years, I worked as Instrument Manager for the Chandra Space Telescope which continues in orbit producing great science. When my father died in 1969, I was released from the Air Force to return to Huntsville to help my mother and younger brother. I worked at the prison at night and went to Sam during the day. When visiting the Farrington building Dr. Friedman told me that the Society of Physics Students built the laser demo. From that day, I wanted to join the unique group of physics students at Sam Houston. I wanted to pursue an education in physics to learn how to think through and solve problems. I joined a drilling services company where I did what I loved, solving problems. Eventually I had people bring me some of their toughest problems, and not just the analytical ones, and my physics education gave me the ability to solve almost anything. For me Sam Houston physics was a place to make good memories and lasting friendships. I still enjoy coming back to Sam for a burger and a visit to 2nd floor Farrington. I came to SHSU with a passion for Photography, but also a love for the why as much as the how. I switched my major from Photography to Physics and met Charles Manka, who assisted my development of a "Physics for Photographers" program. I worked as an Optical Image Scientist in national security for 35 years and will retire soon. I look back on my meaningful career and it's clear vectoring at SHSU Physics Department. I was looking for a smaller school that had access to everything a big school would offer. Sam was a perfect fit: A beautiful campus, a welcoming environment with friendly faces everywhere and small programs where I could be myself. The relation between the faculty and the student is closer to a friendship. Sam prepared me to not fear complex topics nor be intimidated by advanced scientific instrumentation. Not many undergrads present in multiple conferences and published peer reviewed articles, which I did as part of Dr. Fang's efforts to investigate lithium ion batteries. My stay at Sam is instrumental as I pursue a PhD at ETH Zurich+Paul Scherrer Institute.